Next day, Flt Lt Wolach (Tommy Boyle) fills Steed and Purdey in on the fire, and they investigate the opposite end of the airbase - accommodation, canteen, armoury! 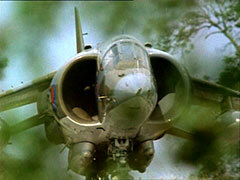 - they pass Larry who recognises Purdey, but she seethes at seeing him again. They learn the shed is where the rockets are stored and are concerned about the upcoming display. All the rockets are accounted for, however, except Larry's which he tells the controller (Roy Purcell) malfunctioned and detonated in mid air behind a cloud bank... but in fact, being defused, has planted itself firmly in a sand bank. Steed, none the wiser, suspects a failed sabotage attempt and invites Larry to a party to make Purdey face her past. 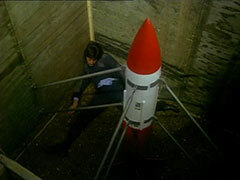 Larry and Kilner retrieve the rocket and take it to the site of the dream home, where Morgan is digging a bunker. At Steed's party, Gambit and Purdey are schmoozing General Canvey (Mark Kingston) when Larry arrives, and he has a tense stand off with Purdey from which Steed rescues her. Larry tells Purdey he's nearly over his father's death - a few more hours and he'll be free - but she slaps him when he tells her he still loves her. 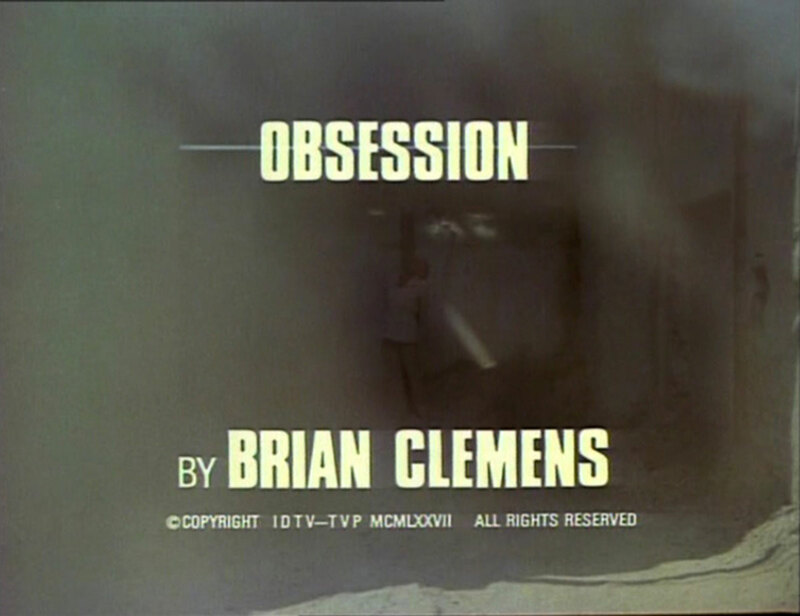 Wolach's looking for the rocket with an advanced metal detector, and stumbles on the bunker but is promptly killed by Morgan. Back at the party, Larry is startled to hear the General say a satellite photographed every inch of Buckinghamshire the previous day. Larry pretends to have engine trouble and kidnaps the General to stop the release of the satellite images. Canvey's liaison officer, Commander East (Terence Longdon), arrives at Steed's, after finding the General's car down the road - Purdey says she'll check if Larry saw anything... Larry meanwhile is interrogating the General so he can intercept the satellite photos. Purdey arrives, but leaves without discovering anything, and Morgan is sent to intercept the dispatch rider. Steed and Gambit learn the hijacked film was of Britain, not Eastern Europe - and that Wolach has disappeared, so Gambit investigates the area. 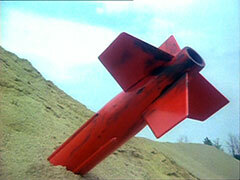 Purdey returns and realises Larry is behind it all and they set off to stop him. Larry hypocritically tells Kilner not to kill the General as he doesn't want 'unnecessary killing', despite planning to level Whitehall! 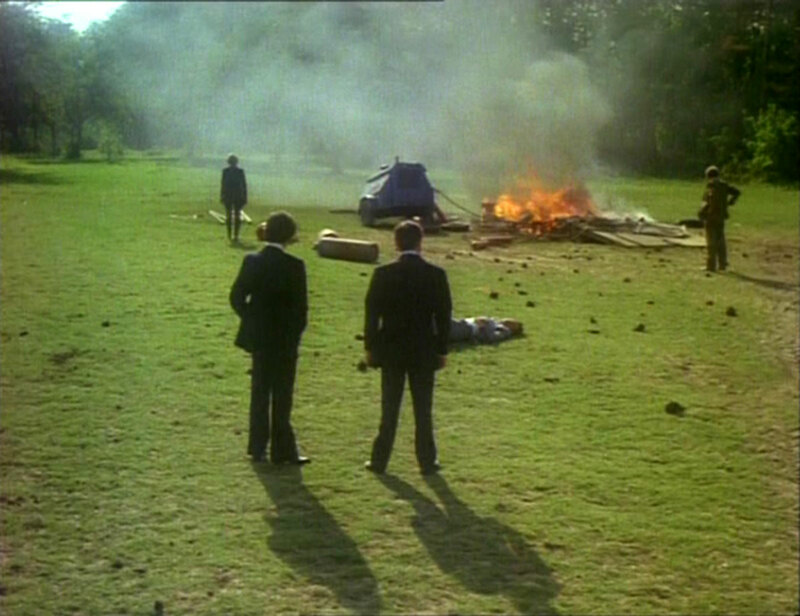 The General is rescued and indicates his 'ring-side seat' - a television showing the crowds in Whitehall, and Steed finds a map of Buckinghamshire, which sparks Purdey's memory of the planned house. 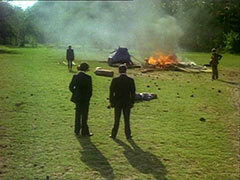 Purdey's shoots one of Steed's tyres so she'll get to Larry first. The rocket is set to automatically launch and Kilner and Morgan leave. Gambit meanwhile has found Wolach's body, and forces Kilner and Morgan off the	road when they try to run him down. He captures them then sets off after Purdey, who races past him, tears streaming down her face. The ex-lovers confront each other, exchanging shots, but Larry is killed by Gambit after he tricks Purdey into standing down and tries to kill her. Purdey runs sobbing to Larry's body. Steed arrives in his Range Rover and parks it over the rocket then dives for cover as it explodes into the vehicle's underbelly.